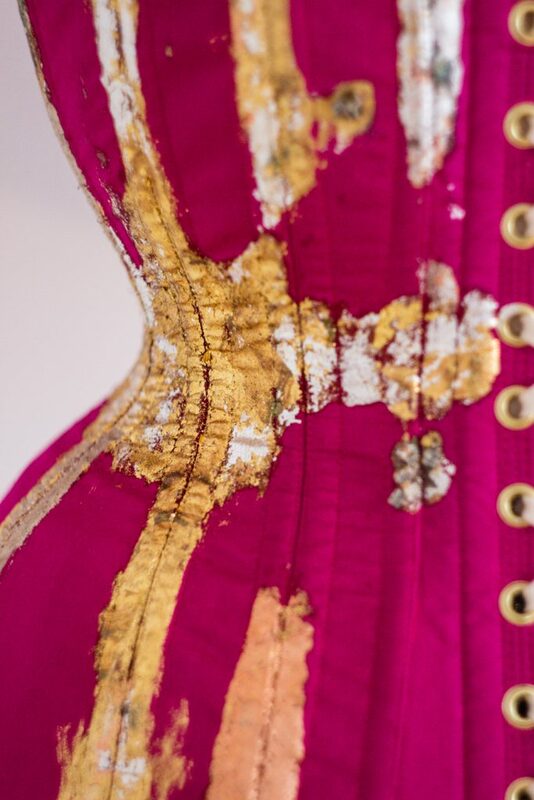 A front lacing underbust corset in silk dupion over a coutil strength layer. Satin elastic suspender straps are connected to oversized, gold plated O rings at the centre front. The design’s frame bra harness is detachable. 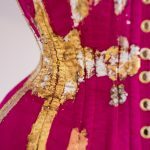 The corset has been profusely embellished with hand-applied precious metal leaf, including 24ct gold, 22.5ct gold, pure silver, dyed silver and copper. Clustered hematite beads are stitched by hand.